credits: Magyar Távirati Iroda Zrt. In anticipation of our Workshop on Populism and Constitutionalism on 20 November (info & sign up here) we are publishing a series of blog posts in which the speakers will outline their thoughts on the topic. In today’s contribution, Bojan Bugarič, Professor of Law at the University of Ljubljana, reflects on the causes of the populist surge in Central and Eastern Europe, and asks what these imply for our common conception of constitutional democracy. See our previous contributions by Paul Blokker, Gábor Halmai, Théo Fournier, and Julian Scholtes. The examples of democratic backsliding into various forms of authoritarian constitutional populism in Eastern Europe are part of a worldwide trend taking place since the end of the third wave of democratization of the 1990s. The ease with which democratic backsliding has occurred in these seemingly stable democracies in many ways calls into question the supposed sharp divide between the Central European “success stories” and other, more problematic countries in the Balkans and further east. Although the post-Soviet East and the Balkans represent a more extreme form of corrupt, nationalist illiberalism than Eastern Europe¸ the similarities are striking. As more recent research on the impact of populism on democracy suggests, populism is more likely to have corrosive effects in unconsolidated democracies than in stable liberal democracies. How can one then explain the fact that populism has been so successful in weakening some of the most consolidated democracies of the region, Poland and Hungary? In order to understand the populists’ success in Eastern Europe, both history and political science offer some important insights. It is no surprise then that even in the best economic performer in the region, Poland, it was primarily the poor and unemployed who helped to elect Poland’s new right-wing government, promising a family allowance of $130 a month per child, funded through a tax on banks and big business, a minimum wage, and a return to a retirement age of 60 for women and 65 for men. Despite robust economic performance, the neoliberal Civic Platform (PO) left behind many regions like Silesia and working people on so-called ‘junk contracts’, offering less than $200 a month. In the words of Ivan Krastev, the liberal order simply did not deliver that which it had promised in 1989.8 As a result, populist-nationalist parties which promised to defend ‘small’ people gained ground and power. [The] economic anxiety and distributional struggles exacerbated by globalisation generate a base for populism, but do not necessarily determine its political orientation. The relative salience of available cleavages and the narratives provided by populist leaders are what provides direction and content to the grievances. Overlooking this distinction can obscure the respective roles of economic and cultural factors in driving populist politics. [The] economic anxiety, discontent, loss of legitimacy, fairness concerns that are generated as a by-product of globalization rarely come with obvious solutions or policy perspectives. They tend to be inchoate and need to be channeled in a particular programmatic direction through narratives that provide meaning and explanation to the groups in question. That is where the supply-side of politics comes in. Populist movements supply the narratives required for political mobilization around common concerns. They present a story that is meant to resonate with their base, the demand side: here is what is happening, this is why, and these are the people who are doing it to you. In light of these observations, I argue that it was the absence of credible liberal alternatives, on top of other demand factors, that opened the gates for populist parties in Hungary and Poland. The populists in both countries responded to the grievances of the angry and disappointed citizens with what was perceived to be a compelling narrative: A nationalist, authoritarian populism, combined with an almost left-wing-oriented social policy, promising to protect ordinary people abandoned by the liberal elites. With the eruption of the migration crisis in 2015, such socially-oriented xenophobic nationalism provided an ideal fit connecting the demand and supply side factors and driving increasing numbers of voters away from the political center to more right-wing extremes. This is exactly what is happening in Hungary and, to a lesser extent, in Poland. 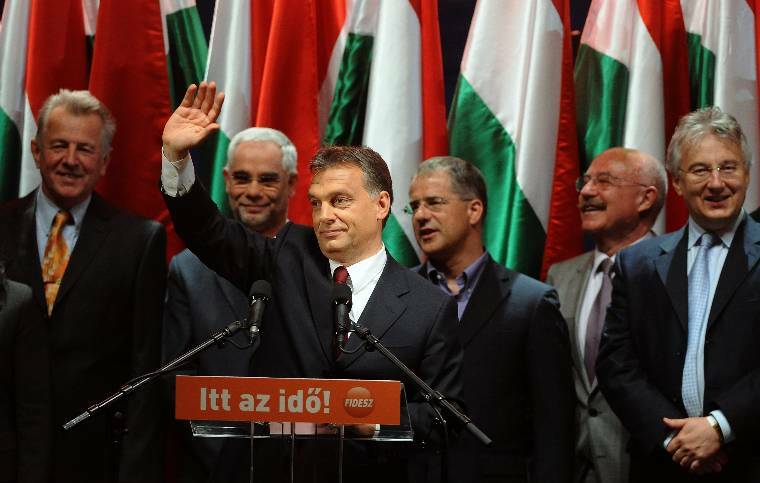 In Hungary, increasing numbers of political leaders and citizens are willing to tolerate the authoritarian politics of Orban’s government in exchange for better protection of their security, social benefits, and political status. Poland is beginning such a journey. With the most recent package of legislation aimed at curtailing the independence of the Supreme Court, the PiS government probably crossed the Rubicon of Polish democracy. The strength of the Polish opposition and vitality of Polish democracy are being tested here. If PiS gets its way, the gates for further backsliding of constitutional democracy in Poland will be wide open. The current surge of populism in ECE demonstrates that constitutional democracy is in great danger when its core principles no longer enjoy wide democratic support. Paradoxically, constitutional democracy can play its “counter-majoritarian” role only when a majority of the people believe that it is the only game in town.